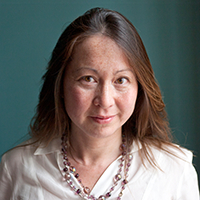 Karen Yeung is the University of Birmingham’s first Interdisciplinary Chair, taking up the post of Interdisciplinary Professorial Fellow in Law, Ethics and Informatics at the University of Birmingham in the School of Law and the School of Computer Science in January 2018. She has been a Distinguished Visiting Fellow at Melbourne Law School since 2016. Karen is currently a member of the Council of Europe’s Expert Committee on human rights dimensions of automated data processing and different forms of artificial intelligence (MSI-AUT) that is currently being established under the Committee of Ministers’ Steering Committee on Media and Information Society (CDMSI). She is also currently Chair of the Nuffield Council on Bioethics Working Party on Genome Editing and Human Reproduction (since 2017), a member of the World Economic Forum Global Future Council on Biotechnology (since 2016) and a former member of the Royal Society-British Academy Working Group on Data Governance (2016-2017).